I just have to take a moment to brag on my kiddos. 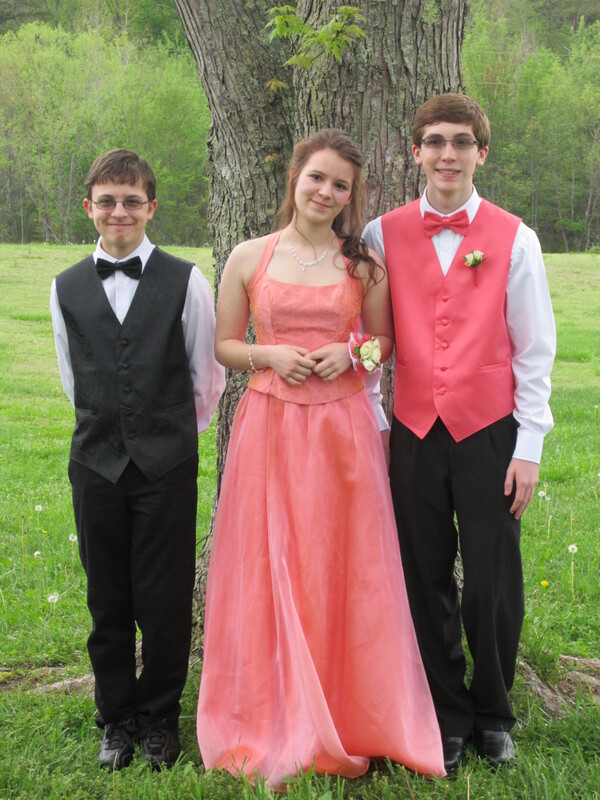 Our homeschool Prom was yesterday, and all kids ages 13 & up are allowed to attend. They always have a great time. Here’s a pic of my kiddos: My son, Michael; my daughter; Katie; and Katie’s boyfriend (& date), Seth. This is Katie & Seth’s junior year. Only one more year of high school for them. And Michael will be starting high school next year. Where has the time gone? No matter where it has gone, I am very proud of the outstanding young Christians that these 3 are becoming! We are so blessed! Steph, they are all so beautiful. Can’t you just see the future and the promise of it all in their faces? Congratulations on raising them to be who they are, Well done.